Armasight, based in San Francisco is a provider of top-notch night vision, thermal, and daylight imaging solutions. It was acquired by FLIR Systems Inc. in 2016 to join this global leader in developing, designing, and manufacturing cutting-edge night vision and thermal imaging products. Armasight provides thermal imaging monoculars, night vision monoculars, and digital night vision monoculars. Our focus is on their line of Thermal Imaging Monoculars. This brand goes out of their way to produce only the best products for the sporting, military, and law enforcement markets. Their thermal imaging monoculars are based on two core technologies. These are thermal imaging monoculars with the 336 x 256 thermal detector. They deliver over 76,800 pixels which are sixteen times better than a monocular using a 160 x 120 detector. This allows you to be further away from the target object and still get excellent temperature measurement accuracy. Thermal monoculars with 640 x 480 detector achieve a high resolution. They deliver over 307,000 pixels to meet High Definition (HD) resolution standard. With such a sensor, you can be twice the distance of that of the 336 x 256 detector monocular and achieve excellent color fidelity and thermal accuracy. If you are searching for a thermal imaging monocular, we have picked the latest products introduced by Armasight. These are products based on their latest technologies including the FLIR Tau 2 VOX microbolometer core. You can expect nothing less than optimized performance and a wide array of applications. Whatever you desire to achieve with a thermal imaging monocular, Armasight has got you covered. The Prometheus C 640 1-8x25 thermal monocular uses a variable objective lens from low power to high power. It is just right when you want to shift from a wide to a small field of view in an instant. It also benefits from FLIR’s Tau VOx 2 microbolometer which allows it to detect heat through any properties of the ambient atmosphere. This monocular has a library of features thanks to Armasight exclusive hyper-image processing (HIP) code. It allows you to customize the settings according to the scene at hands. This is regarding the Active Contrast Enhancement which is a digital system of contrast correction and Second Generation Digital Detail Enhancement (DDE). DDE corrects digitally corrects sharpness so you can get sharper images without any blurry images. And, not forgetting the reduced image noise and a whole lot of other optimization features. This is quite a capable model. The high definition resolution is a must have when you want the best performance from a thermal monocular. You don’t need to pick where you go out of restrictions. You are open to the place of your choice from the great outdoors, to security enforcement, and even in military use. This thermal monocular is the most technologically advanced model in the 336 line. It utilizes FLIR Tau 2 VOX microbolometer core. This feature enhances the capability of this device to cut through snow, fog, dust, haze, smoke, and every other atmospheric obscurant. The Prometheus C 336 is a long wave infrared, uncooled and magnified thermal imager that detects long-wave infrared. It allows you to detect heat from humans, animals, and objects with incredible accuracy. With a 60Hz refresh rate, it provides for fast transition of images without stuttering or blurring when moving the monocular over fast moving objects. This model hosts lots of remarkable features for ultimate viewing in all situations. With the help of Armasight Proprietary Hyper Image Processing (HIP) Code, this monocular opens up the door for tailoring your image to the most optimal standard for your situation. It has video recording capability using a multi-pin connector that you can use with Armasight Digital Video Recorder. 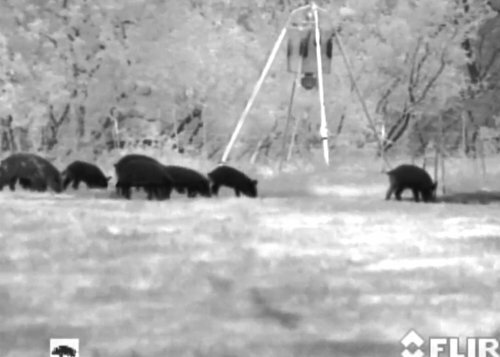 Customize your Imagery using Amrasight Exclusive Imaging Tools. Active Contrast Enhancement (ACE): This is a digital “contrast” correction mechanism that optimizes the image according to the prevailing scene of the temperature. Smart Scene Optimization (SSO): It is a fine-tuning digital correction that improves the overall visual acuity when you are viewing images of targets with near-similar thermal signature to that of their environment. Second Generation Digital Detail Enhancement (DDE): This is a technique that reduces picture noise by automatically adjusting the sharpness of the image. Information-Based Histogram Equalization (IBHEQ): With the help of an environment-dependent algorithm, the camera automatically adjusts its gain to exclude pixels believed not to contain critical information. It is a useful feature when viewing images on scenes with lots of water or sky. Non-Uniformity Correction (NUC): The camera has a mechanical shutter between the sensor and the lens to perform flat-field correction (FFC). This results in a uniform image while viewing a flat-field source. Silent Shutterless NUC (SSN): This is a mechanism that results in reduced image noise using a non-mechanical flat-field source correction. 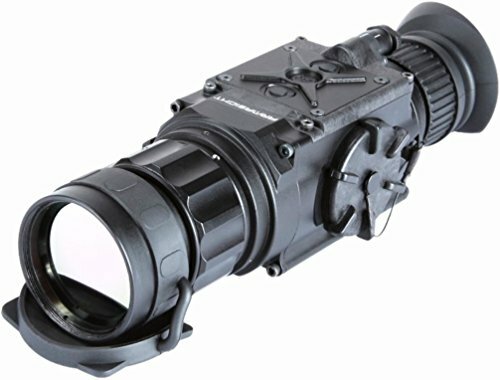 Armasight Prometheus C is a unique model more so if you are into outdoor activities or are in the law enforcement industry. If you want a higher resolution and enhanced video recording, there is a 30Hz Prometheus C version. It includes all the technological advancements of the 336 model but with a higher resolution of 640 x 480 LED Display. 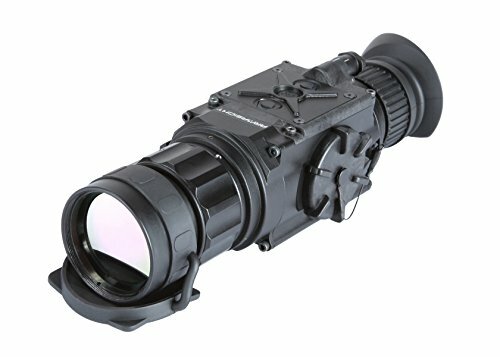 Based on Armasight FLIR Tau 2 VOx microbolometer, the Prometheus 640 2-16x50 (30Hz) is designed to optimize performance every way you look at it. You get a compact device with a durable housing for long-term use. This model boasts an uncooled thermal sensor that detects long-wave infrared. Just like its 366 cousins, this model can also cut through fog, snow, smoke, and haze. It is dedicated for use both day and night which means it’s the only thermal monocular you need for all your thermal imaging needs. Prometheus 640 gives you much better resolution on an OLED display. It can display superior quality images and detailed video output. You will like that it carries all the adjustable tools to get you the ideal image no matter the outdoor condition. From Active Contrast Enhancement (ACE) to Second Generation Digital Detail Enhancement (DDE), Smart Scene Optimization (SSO), Information-Based Histogram Equalization (IBHEQ), Non-Uniformity Correction (NUC), and Silent Shutterless NUC (SSN). 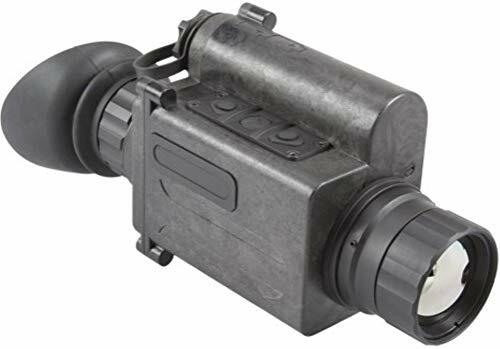 Armasight Prometheus 640 can detect heat from invisible light sources to long-wave infrared that is visible to the human eye. When it is pitch black, you can easily see through hot wires, running engines, and heat from animals and humans. However, you get a lower refresh rate which may affect fast-moving images, but on the brighter side, the resolution is excellent so the image will not be blurry. This thermal monocular is also based on the FLIR Tau 2 VOx Microbolometer core. It is a compact unit that features a streamlined design for simple handling. Its high-resolution detector can cut through all atmospheric obscurants like snow and dense fog. It doesn’t matter where your sporting activities take you; this model guarantees crisp, clear thermal images replete with lots of optimization features. To enable 24/7 viewing capability, Armasight detects long-wave infrared, and it does not emit any radio frequency (RF) energy. This means it can be used during the day since its detector cannot be damaged when exposed to light. It boasts an 800 x 600 SVGA OLED display. It showcases images in a standard resolution that is bright with perfect clarity. You get a unit that uses only two CR123A batteries. They keep the weight of this monocular down so that you won’t feel like it’s going to weigh you down when bringing along other equipment. Its fiberglass-reinforced construction is a sure sign that this monocular is built to face the extremities of the tough outdoors. With the different optimization features, the Prometheus C 336 3-12x50 (30Hz) is a remarkable thermal monocular. It retains high-quality imagery thanks to its advanced microbolometer core. You also gain access to imaging adjusting tools from the ACE to SSO, DDE, IBHEQ, NUC, and SSN. All these tools provide you with a perfect image that is worth evaluating and working with. For those looking to own a model with the smoothest video, you will be happy with the Armasight Prometheus C 336 3-12x50 (60Hz). It allows you to see the exact detail when you want to get the best imagery for future reference. Armasight makes it easy to find the ideal thermal monocular for both day and night applications. We hope you will find our pieces super useful. If you are looking for the smoothest videos, and arguably the highest quality of images, you can have the Prometheus C thermal monoculars and the FLIR Scout III line in a heartbeat.